Chief Roger William of Xeni Gwet’in speaks at a news conference where UBCIC chiefs react to a Supreme Court Decision on the aboriginal title appeal, in Vancouver June 26, 2014. Photograph by: Nick Procaylo , PNG. WILLIAMS LAKE – A British Columbia aboriginal nation granted rights and title by Canada’s high court has introduced its own laws governing its territory and resources within the area. 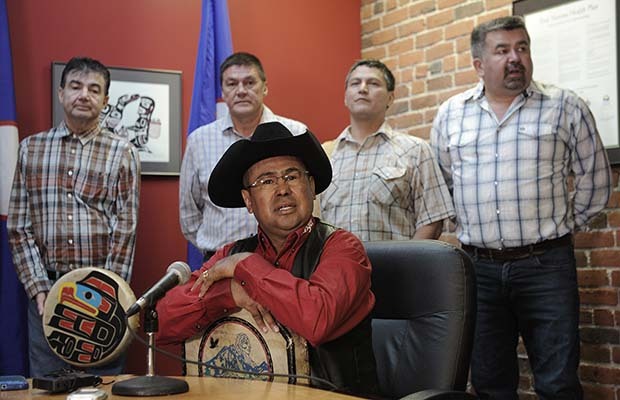 The Tsilhqot’in National Government has enacted the so-called Nemiah Declaration that prevents mining and commercial logging, stops commercial road building and requires visitors to get permission before entering the land.